Thread: Artists can now be employees. On the one hand, it's cool to just paint without having to worry about the next paycheck. On the other hand, you probably have absolutely no choice but to accept each and every commissioned work you're being assigned. But then, isn't that the same as in every other job? Hmm why do I think this is just another way to exploit people who are creative. Do we really need artist sweatshop factories turning out crap for I assume (low) pay? I have to say it looks suspiciously like one of those deals where people send in their snapshots and get them turned into paintings... In other words, yeah, sweatshop-ish... Given the quality and nature of the art in their gallery, I'd be pretty leery of it. Though if it's a way of giving regular employment to otherwise "unemployable" people, I guess that's cool. As long as they pay decent wages. I am curious what these decent wages are. Maybe an ok way to make extra money on top of your 40 hours work week? It does look like I have to be challenged in some way, and I am definitely not challenged enough. Looks like you would have to make up some sob story. Either way I doubt their wages are worthwhile. Does anyone know for sure? it just says the starting wages are above minimum, so it must be determined by your area. short of contacting them to see that's all you're going to know. It's funny, because when I was a kid I told myself..."I want to be an artist and get paid to do what I love". The most important part of that, though, is "to do what I love". Painting junk things for junk clients isn't what I love to do, personally. But we don't always have the luxury, I suppose. I guess it's great for the true starving artist. Well, I'm completely in awe of artists who can do that. Yeah, but would you want to do that... Especially, would you want to do that as a job. I dunno, I think I'd go stark crazy copying bad snapshots of people's kids and cats all day. Oi, don't make me link his shoe paintings! I am no expert, but while much of his early work is competent, it does not seem to me technically particularly great, considering the standards of the time. I should say, mind you, that I am very much a fan of his work, and rather weirdly, perhaps more of his early work than the stuff he got famous for. He kind of gives me hope: only seriously started as adult, never achieved the slickly professional look required by the academies, produced some work that is almost blatantly crude, yet still managed to speak to many generations. His early work is pretty much an eyesore, if you ask me. 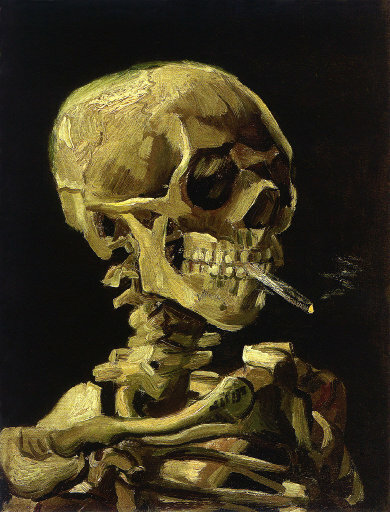 (I have to wonder about some of his later work, too...) Van Gogh is weirdly inconsistent that way. When he's good, he's really pretty good, but when he's bad, he's horrid. Granted, he started late in life and had... personality issues... that must have made him a very difficult student. If he'd been on these forums he'd have gotten banned for persistent obnoxiousness and whining. It's traditional to sponsor an art student through the atelier in full and keep all of the work the student produces from it. His early work is pretty much an eyesore, if you ask me. And of course the famous potato eaters. 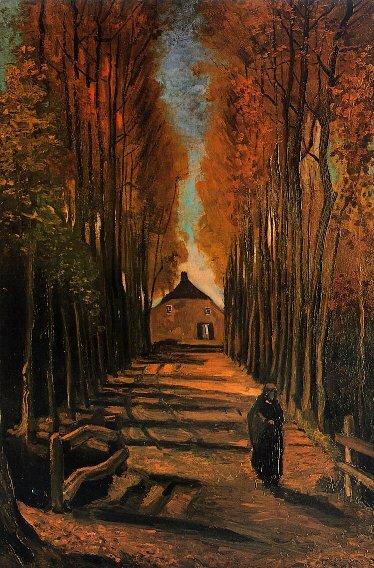 (I have to wonder about some of his later work, too...) Van Gogh is weirdly inconsistent that way. When he's good, he's really pretty good, but when he's bad, he's horrid. I do suspect that his mental illness played a role in his artistic ups and downs. I find it noteworthy that he produced some of his better work while in the asylum - somewhat ironically, it was one of the more sane periods of his last few years simply because they kept him away from alcohol and whores, and kept him to a quiet routine, so that his wackiness wouldn't get the better of him. Erm, I've been an employee, there are plenty of staff artists around, in studios, in video games, for entertainment. At some point even TSR had a stable of staff artists. I know M:tG has one permanent concept artist still. We don't always do what we want, and some staff artists are pretty crappy. That place in the OP's link looked a bit creepy though. There have been times when I've wanted to rip a picture off a wall in a gallery and burn it. Just because he's famous, doesn't mean that every crap picture he has painted needs to be shown, especially next to a good one. Yes, one unfortunately sees this a lot with famous artists, especially ones who died with a lot of unsold work. Even the very best of artists have off days and produce some crap, or even just doodles that they themselves do not take seriously. Now if you find a mile high stack of drawings and paintings in an artist's studio after his death, how do you know how much of that he himself would have considered worthy of exhibition or sale? You don't, but if he's famous you can sell every scribble he ever made for a fortune. Picasso is another case in point: he abandoned lots of pieces unfinished, and never exhibited lots of others, but did not make a point of burning all the crappy stuff. So by the time of his death, his house and studio was filled to the brim with stuff, a lot of which he himself surely would have considered failed experiments. Greedy dealers then proceeded to inflict all of this on the world. "But I think I'll go the Van Gogh way: go nuts, indulge in absinthe and self-mutilation, and then achieve fame despite lack of ability. :-)"
You forgot "work incredibly hard" and "be a genius." 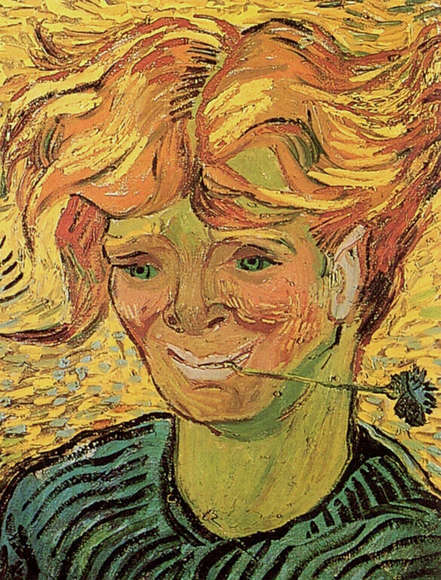 Anyone who thinks Van Gogh didnt have ability is kidding themselves, and anyone who thinks he achieved success in his lifetime is wrong. We should turn this into a Matisse thread. I still remember the discussion of the Red Room painting. He also forgot the part about "receive a generous stipend from your successful, upper-middleclass little brother Theo." Oh, and the whoring-- can't forget the whoring. . .
. . .yeah, it's sappy-- but, still like it! "He also forgot the part about "receive a generous stipend from your successful, upper-middleclass little brother Theo." Yeah he spent most of it on tobacco, drink and art supplies and wasted the rest. Y'see Theo, youve gotta learn to let a man to take a bath, y'see"
. . . . and wasted the rest. . . But. . . he drew some of the whores! I remain in two minds about it. From a purely technical point of view, much of his output seems rather awkward to me. He certainly never got anywhere close to mastering classical art. He nevertheless did produce some very memorable images, and ones that indeed do stick in the memory long after far more slickly executed work has been forgotten. Could Bouguereau have painted like Van Gogh if he had wanted to? From a technical point of view, surely he could, but would his Van Gogh-style paintings have been as memorable? Better perhaps? Much worse? I suppose we'll never really have an answer to that question. He never would have gotten a job as concept or comic book artist though, I would think. You are right about one thing: he did work tremendously hard. In fact, I wonder whether part of the reason for his mental collapse was not perhaps just sheer exhaustion. Comics are more than what Marvel puts out or what you can find in your daily newspaper. I can totally see him having a strip in the alternative weeklies and a zine of his own. Although whether that counts as a "job" is debatable. Comics are more than what Marvel puts out or what you can find in your daily newspaper. I can totally see him having a strip in the alternative weeklies and a zine of his own. Although whether that counts as a "job" is debatable. Depends. 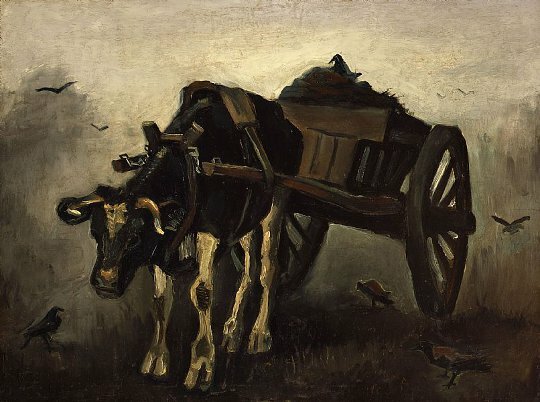 Smudja's "Vincent & Van Gogh" is done in a style very close to van Gogh's, and is based on his paintings (with a generous dose of other contemporaries).